This is a lovely apartment which has been renovated. It can be found in the lovely beach town of Barcelona, just steps from the promenade. The neighbourhood has plenty of things to see and do, including many cafés, restaurants and bars, as well as supermarkets, a shopping centre and a cinema in the nearby Port Vell area. 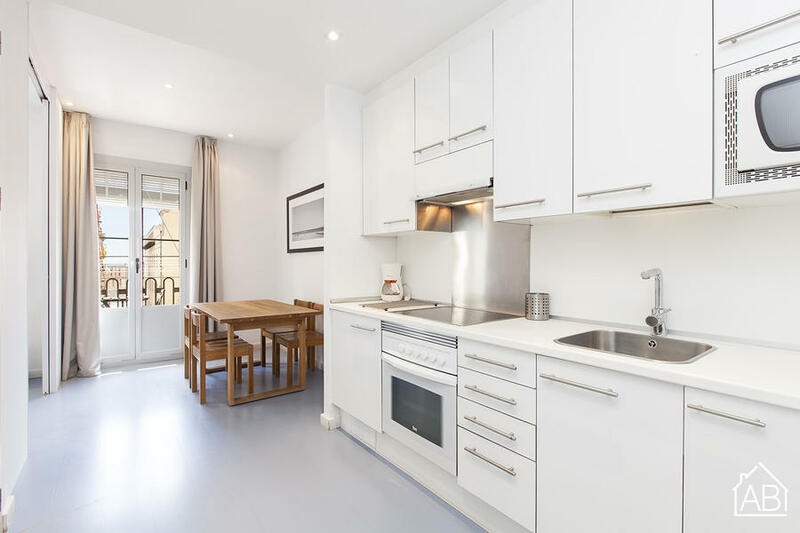 In less than 20 minutes you can reach downtown Barcelona on foot, and there are excellent public transportation links from Barceloneta, making it easy for you to get where you want to go in the city. This bright apartment building was renovated in 2007, and has been fitted with surveillance cameras and an elevator. There are washing machines available on the terrace, too. The apartment has a modern décor, and can accommodate up to 4 people, making it ideal for couples, groups or small families. It comes complete with WiFi, and a TV, as well as heaters and air-conditioning, making it a good choice of home-from-home in Barcelona no matter the time of year.